Tell Mom how special she is with a gift certificate. Our Mother’s Day gift certificate is available for a 60, 90 or 120 minute massage with either our Extremely Emollient Aromatherapy or Extremely Emollient Sugar Foot Scrub. We have 5 Wonderful scents to choose from. Enjoy a romantic couples massage in our beautifully decorated couples room. The massages offered at Pathway to Serenity is a comprehensive answer to your body’s aches and the stress you carry every day. We are known for our amazing therapeutic and deep tissue massage across Reno, Sparks, and the Sun Valley area. Our soothing and upscale center offers an inviting and tranquil environment for you to relax and put the world on hold. 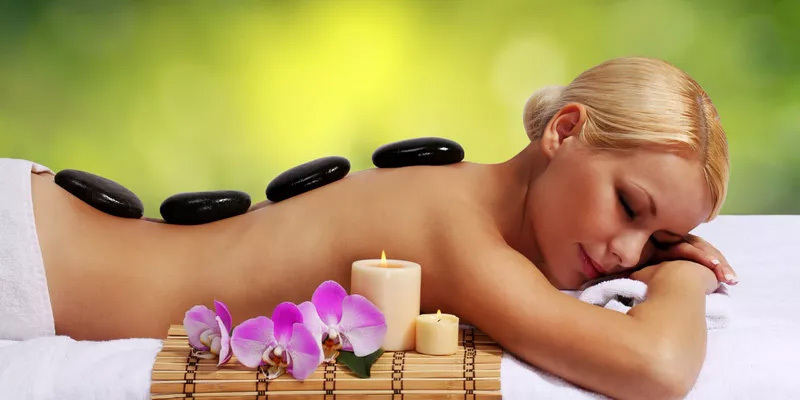 Renew yourself with our extensive selection of massage designed to bring balance, beauty, wellness, and enrichment to your life. Our certified and experienced therapists will guide you on a journey that will get your body to unwind, leave your mind clear, and your spirit free. An occasional massage leaves you feeling great, but regular sessions do so much more for maintaining a balance even through the most stressful of situations. 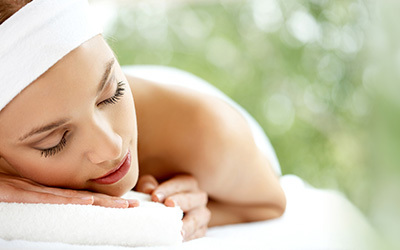 Preview the various services we offer and find out which massage is perfect for you. Choose your therapist, massage service, and the most convenient time to for you. Located in Reno, our upscale relaxation center offers an inviting and tranquil environment. I have found my favorite therapist I have ever had! Rose is so amazing and she really knows the body. I have been seeing her for my prenatal massages during my entire pregnancy and I will continue to go after I deliver. I started off my first appointment with an hour and I immediately regretted not scheduling a longer time slot with her. Since then I get an hour and a half. Sometimes 2 hour massages because I never want it to be over. Her pressure is perfect. She always asks what is bothering me week to week and addresses those issues. She is really easy to talk to, listens and responds when I have special requests. I always look forward to seeing her, she is pleasant and very professional. I promise you will not be disappointed!!! This place exceeded my expectations!! They not only made me feel 100 times better but took their time and did it right. Will always recommend Pathway to Serenity. Thank you so much! This place is amazing, it’s so relaxing and staff is really nice. They listen to your specific needs and perfectly relax your entire body I love this place! I absolutely love getting massages and Christin has been my massage therapist for a couple years now. She is amazing! It’s always relaxing and she is a great person to talk to as well. Pathway to Serenity is beautiful and chiq! A very pleasant atmosphere for relieving stress. Hands down the best place to get a massage! I’ve had back pain for several years and made an appointment with Rose, I’ve been pain free ever since! The staff is super knowledgeable and legitimately care about you and deliver a quality experience every time. I highly recommend this place! I have had a massage with everyone here and I love each and every massage I receive from them, Christin is my regular therapist here. I love her work! She is very thorough and always listens to all my concerns. She is very knowledgeable in a lot of different areas of massage. Christin and everyone here has always been very professional. I have now moved out of state and still travel every now and then to see Christin,I love her! Pathway to Serenity is my retreat for relaxation. Christin is my therapist and her knowledge, experience and massage techniques are both relaxing and therapeutic. I get massages on a regular basis for stress reduction and physical health. Pathway to Serenity is my place for extreme self-care! Pathway to Serenity is a true hidden gem in the Reno/ Northern Nevada area. I have had over 500 massages in multiple countries and Rose is the best massage therapist with whom I have ever come into contact! Being an athlete and outdoor enthusiast herself, Rose understand the needs of both athletes and non-athletes and she is an expert at what she does. She is the rare combination of a therapist who is strong and extremely skilled, not to mention professional yet friendly. She listens to what her clients need and expertly taylors their massage session to fit those needs. She used various combinations and different techniques to unlock the muscle tightness in my shoulders and back. After my 90 minute massage I felt like a new man! If you live in the Northern Nevada area or happen to be in the area visiting, do yourself a favor and stop by Pathways to Serenity. Rose and her massage studio have a client for life and that is the highest praise I can give a business. I have had several massages from Rose and each one was the grandest of grand. She will adjust the pressure when asked and listens to you as to the type of massage you want. When she finds a knot, she will make it go away. Rose Matthews, the best massage in town! Christin was amazing! Thank you so much! I can’t wait for my next visit. If you’re looking for somewhere professional, knowledgeable, and will make you feel like a million bucks, this is the spot. Hands down best massage I’ve had. Find the relief you’ve been looking for with our experienced and certified therapists. We specialize in a combination of comfort and massage that is soothing to you and your baby. The most popular service Pathway to Serenity has to offer. Relax and give yourself the chance to unwind with this soothing hour-long journey. Two-hour sessions are also available. Get closer to someone you love as you both get massaged simultaneously. Feel the stress melt away over this hour-long journey of togetherness. Two-hour sessions are also available. The healing hands of our therapists can help you recover from accidents, injuries, and surgeries over the course of this hour-long session. Feel the stress melt away under specifically placed warm basalt rocks. This 2 hour-long journey is known for its deeper relaxation and regenerative properties. Improve your athletic abilities and keep your mind clear for competition. These massages are available before sporting events. They are also available after events to reduce swelling and prevent DOMS. Boost positivity and relaxation as essential oils are used to melt stress away. Different oils are available depending on your goals. Talk to your therapist about augmenting your therapeutic massage with this massage alternative. Augment any of our massages with this amazing skin exfoliation and discover life walking on stress-free feet. Pathway to Serenity uses a special blend of fine grain sugar, essential oils, and jojoba oil. This service is not offered as a stand-alone massage. Massage is generally considered part of complementary and alternative medicine. However, it is beginning to be more recommended to augment standard treatments for a wide range of medical and psychological conditions. Studies of the benefits demonstrate that it is an effective treatment for reducing stress, pain, and muscle tension.